Thanks to a few dodgy traders, it’s reasonable to say garages don’t have the best reputation in the eyes of most car owners. The vast majority of mechanics are fair and honest. But over time, a small proportion have tarnished the industry’s image. There are many ways you can end up out of pocket after dealing with a garage. They might damage your car while it’s in their care. They may charge you for work that you haven’t asked for. Or they might return your car with the problem fixed and another one introduced. If you’re unlucky enough to encounter a problem with a garage, there are some steps you can take to ensure you don’t end up out of pocket. With the help of Citizens Advice we look at problems and solutions. If your car has a fault and you told the garage to fix it, you handed the right to decide what work needed to be done to the garage. You’ll have to pay for any work that was necessary. However, according to the 2015 Consumer Rights Act you only have to pay a reasonable price. Citizens Advices suggests you ask another garage to quote for the work so you can assess what is and isn’t a reasonable price. The fix: You can avoid this aggravation by agreeing the price for a job beforehand. Get this as a written quotation. If you agree a price with the garage and it isn’t written down, you still have a contract with them. This cuts both ways. They can’t charge more, but you have to pay the price you agreed. Make sure any price you get is a ‘quotation’. Estimates are essentially a guess and they can go up. When a garage agrees to repair your car, it has a responsibility to take reasonable care of it. And that doesn’t mean lending it to the apprentice so he can take his girlfriend out. 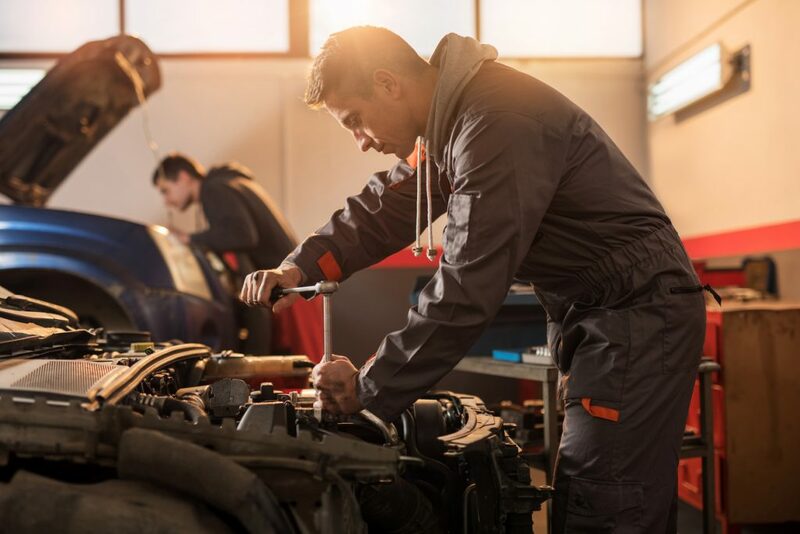 The fix: Even if the garage has a notice denying any responsibility for loss or damage to vehicles in their possession, you can still claim for damage. Again, your rights are protected under the 2015 Consumer Rights Act. You need to claim swiftly and point out any damage as soon as you see it. The answer is to take photographs of your car before the garage appointment so you have dated proof that the damage occurred in the garage. If you asked the garage to do a specific piece of work such as changing the oil and filter, and it put in new filters for the fuel and air as well, you can ask it to undo the work. If that isn’t possible you can insist you only pay for the work you asked for. The fix: Again, agree what needs to be done in writing so there can be no discrepancy between what you think should be done and what the garage does. If you are unhappy with work carried out, you should take up the matter with the garage. However, you may not be able to agree a reasonable way forwards. If that’s the case, you need to get your car back. The fix: Pay for the work but on the garage’s copy of the paperwork, write ‘Paying under protest’. You can then seek compensation. First see if the garage belongs to any trade association such as Motor Codes. If it doesn’t, ask if it belongs to an Alternative Dispute Resolution scheme. If the answer’s no again, you could go to the small claims court. If the garage has been economical with the truth or misled you in any way, including claiming it’s carried out work which it hasn’t done, complain to Trading Standards. The fix: Under the Consumer Protection from Unfair Trading Regulations 2008 (CPR) the above are offences and you can legitimately complain and seek redress against the garage.